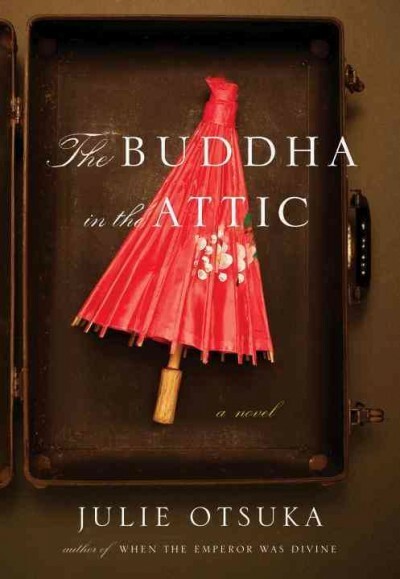 In The Buddha In The Attic, Julie Otsuka creates a piercing look at what it meant to be a Japanese woman coming to America just before WWII. Her writing in this novel uses a collective voice; the women tell their story in one pronoun such as “we” or “our”. This method unites them in purpose and spirit, while showing me, an American, just what they endured. The Buddha in The Attic is as powerful a work as I found When The Emporer Was Divine to be, one which does not illict false sympathy but rather true empathy, from her readers. I really enjoyed this book also. I was initially leery of the collective voice but it proved to be very powerful and just the thing for this story I think. This is a book I would reread so will have to purchase it as I read a library copy. Very nice review, and an interesting way of doing it. Glad to hear your endorsement of When the Emperor was Divine too, I shall get to it soon. Writing in the plural voice can be powerful when done right. It sounds like it was done right in this book. Wow, based on the excerpts you have shared here, I am definitely making sure that this one is on my list! My mother-in-law just asked me about this book, and I said you had recommended it. I'm going to send her a link to this fabulous review. I've seen mixed reviews of the plural voice but I think it can be very powerful. I definitely want to read this one. Heard good things about this one awhile ago, but totally slipped under my radar, thanks for the reminder & this wonderful post, love the style as well as it's content. I would love to read this book. I've talked to a man who lived in one of the internment camps but not to any of the women! This book/sampling sounds excellent, Bellezza. I like your new blog design or format. Happy New Year!